The Federal Government has described as false the information being circulated on Social Media that a Ministry of Interior Regulation has been created to monitor and record all phone calls and Social Media posts made by Nigerians. 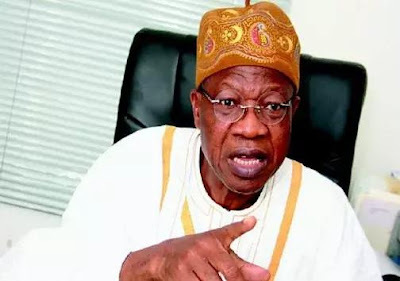 In a statement released in Abuja today, Minister of Information and Culture, Lai Mohammed, described the story as another example of disinformation that has permeated the media space, especially the Social Media. The Minister said the intention of those behind the false news is to give the impression that the Federal Government is working to stifle freedom of speech, which is not the case. ''There is no regulation, old or new, from the Ministry of Interior or any federal government agency requiring the recording of all calls or the monitoring of Social Media platforms like WhatsApp, Twitter or Facebook. We are therefore using this medium to inform all Nigerians that what is being circulated in this regard is totally false and should be disregarded. 'We thank all Nigerians who have reached out to us in an effort to confirm the authenticity or otherwise of this information, which is now being widely circulated on the Social Media. This is the best way to ensure that the purveyors of false news do not dominate our media space'' he said.